A new relaxing Pilates stretching video is up on my YouTube channel! I filmed this workout when I was a few months postpartum with twins. It was at the end of a very stressful day and I didn’t have it in me to workout, but I knew I needed to move my body. It was just one of those days where the babies needed to be held constantly (which is really hard when there are two of them! ), I wasn’t feeling well, I missed an appointment on my calendar, and everything felt out of control. I needed to breathe, stretch, and relax. 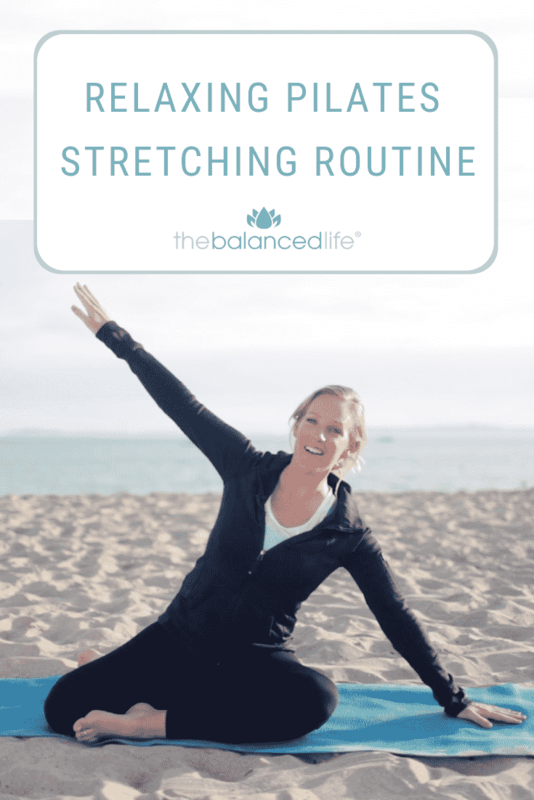 This routine is a perfect little routine to sneak in at the beginning of your day to get your body moving – or mid-day when you need a break for your body or your mood. Click here to view the workout directly on YouTube. I hope you find it helpful. Give it a try and let me know how it goes! Is this in the sisterhood as well?